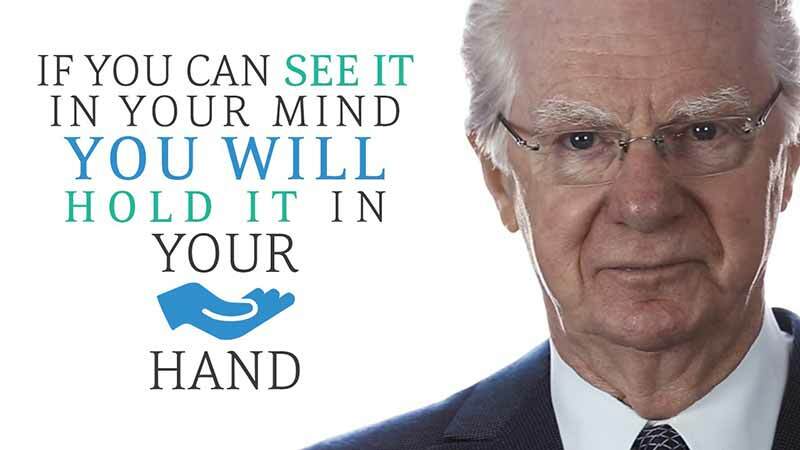 Bob Proctor, success teacher, author and renowned speaker. Bob Proctor is one of the most respected and sought after success teachers and speakers in the world. Considered a master of the teachings of law of attraction and a prominent part of the hit 2006 law of attraction film “The Secret”, he has spent 40 years showing people how to lead happier, healthier and more successful lives. Born in Ontario, Canada, Bob was a high school dropout working dead end jobs with little or no prospects for the future. Bob says his light bulb moment was when a friend handed him Think and Grow Rich the seminal law of attraction classic from Napoleon Hill. Bob formed a company offering cleaning services and using the principles he had learned in “Think and Grow Rich” expanded his business to working in multiple countries within a year. As a massive convert of law of attraction and personal development he was now drawn to the works of Earl Nightingale, one of the world’s leaders in this kind of information, producing books, courses and seminars for hundreds of thousands of people. Bob then joined the Nightingale – Conant company to work directly with Earl Nightingale and rose to the position of Vice-President of sales before setting up his own seminar, coaching and teaching company The Proctor Gallagher Institute. “I am a soul, a spirit, non-physical and I live in this physical body, and I have the ability to dictate the vibration that my mind and body will be in. Vibration is a law of the universe and this entire universe operates by law. There are no accidents and vibration decrees that we absolutely live in an ocean of motion, absolutely nothing rests. Everything moves, everything is vibrating, at one speed or another, and we can move into a positive or a negative vibration. We use the word feeling to describe the conscious awareness of the vibration we’re in. When you’re in a positive vibration, the only things that you can attract into your life are things that are in harmony with you, positive things. Mind is movement and body is the manifestation of that movement. You and I have the conscious ability to choose the images that we’re going to hold in our mind, we tap into an infinite source of supply, and we choose our thoughts. We can pick up other people’s thoughts or we can originate thoughts, and we bring those thoughts together we create ideas. I can create an idea in my mind of myself having anything I want, and then I when I take that idea and impress it upon my subconscious mind which is universal intelligence, I not only effect my body but I effect this entire Universe. I know that most of us have such a small picture, a small image of ourselves, that we have a difficult time believing that we would actually effect the entire universe. Hi Bob Proctor, can you teacher me how to apply the law of attraction. I am having some difficult moment.